Hadhrat Shaykh Muhammad Naqshband Mujaddidī Sirhindī alias Hujjat-Allāh (1034-1115 AH) was the second son of Imam Muhammad Ma’sūm Fārūqī Sirhindī (1007-1079), may Allah be pleased with them both. He was born in the month of Dhu al-Qa’dā 1034 AH. His name was chosen to be Muhammad Naqshband and he was often called Naqshband Sānī (Naqshband the second). He was usually called with his title Hujjatullāh (proof of Allah). He learned Islamic sciences from the finest scholars of that time, including his uncle Khwaja Muhammad Sa’eed Sirhindi, who would often say that he comes not to learn but to teach (refering to his exceptional learning abilities and extraordinary comments on classical Islamic texts). He would even engage in scholarly debates with his teachers, which could last for many hours. He was spiritually trained by his father and was given complete Ijazah (authority) in the Mujaddidi tariqah. According to most sources, he was the third Qayyūm in the line of Qayyūmiyah, the highest rank of sainthood and spiritual mastery. He was known to be a shaykh of the military, as he used to live in the Mughal army and was a spiritual master of many soldiers and commanders. He performed Hajj twice, second time in about 1095 AH. He used to say that I often receive Ilhām (divine words) that I have forgiven your friends (his followers). Once he raised his head from Muraqibah and said, Hazrat Musa (alaih-is-salām) has come. He passed away to the eternal world on 9 Muharram 1115 AH (14 May 1703) at the age of 80, and was buried in Sirhind (India). 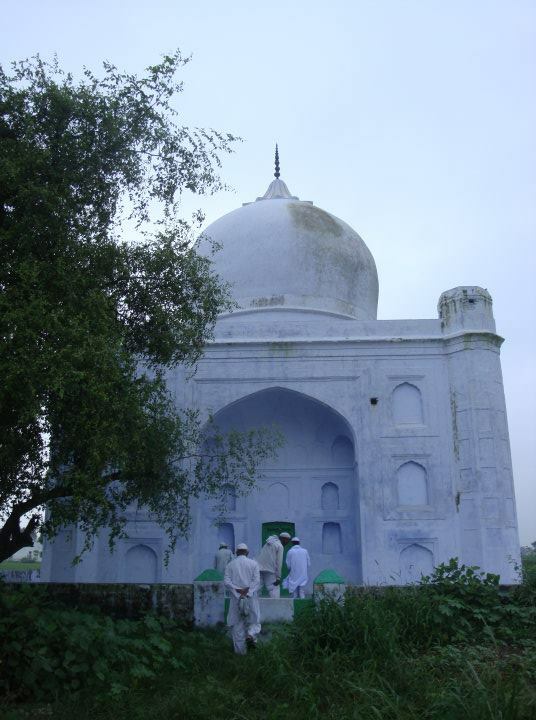 Shaykh Abul-A’lā Sirhindī, died during the life of his father in 1106 or 1107 AH. He was the father of the fourth Qayyūm Shaykh Muhammad Zubair Sirhindī. His letters (Maktūbāt) in Persian were collected by Maulānā Imāduddīn Muhammad, and were first published in 1963 by Dr. Ghulam Mustafa Khan from Hyderabad (Pakistan). This collection includes 128 letters which are of higher importance, though some more letters exist in the original manuscript. Maktabah Mujaddidiyah has digitized these letters which can be accessed online on Internet Archive. Many of these letters were written to the great Mughal emperor Aurangzeb who was a sincere follower of the Mujaddidi family of Sufi masters. Urdu translation of these letters has recently been published and will soon be digitized by Maktabah Mujaddidiyah. His chief deputy was his grandson Hadhrat Shaykh Muhammad Zubair Mujaddidī Sirhindī who is often regarded as the fourth Qayyūm. Shaykh Abul-Khair Burhānpurī, who was son of Shaykh Abul-Muzaffar Burhānpurī the deputy of Imām Muhammad Ma’sūm Sirhindī. Broken minaret on the tomb of Khwaja Hujjatullah Sirhindi. 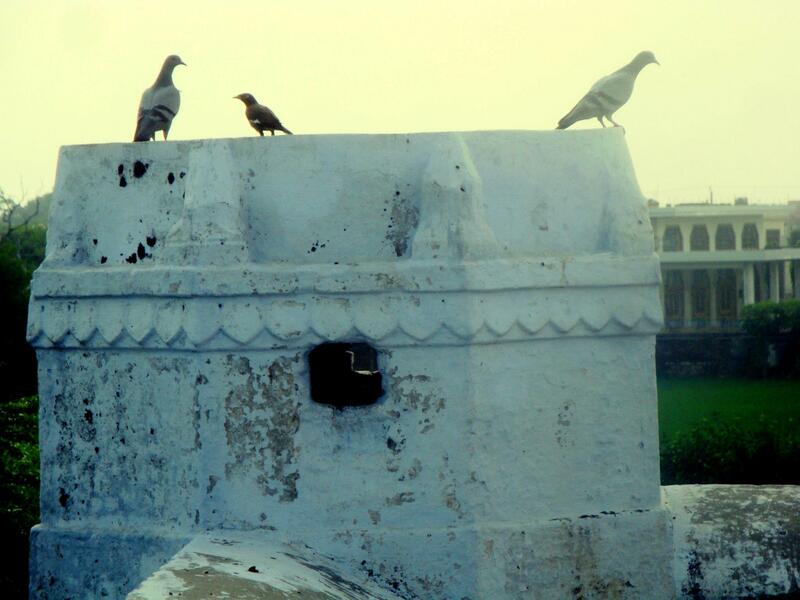 The minarets of this noble shrine are missing and it is said that during the riots of partition in 1946, some Sikhs came to attack the Muslims hiding inside the shrine. When they approached the tomb, the minarets started falling on them so they were scared and turned back. A very nice blog and good effort. May Allaah swt reward you for the same. 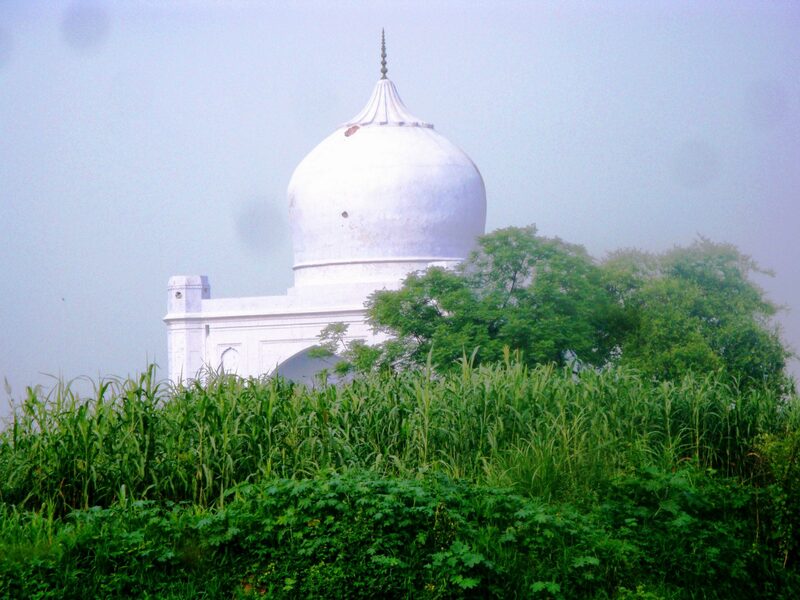 I go to Sirhind off & on and I am in the habit of reading and writing the lives of Great Sufi masters. The author of Maqamat i Masumi “Mir Safar Ahmad Masoomi” is my grandfather. I can tell you more about his family and the renowned Wali’s of his family right now. The most famous of them was Fazl Ahmad Masoomi popularly known as Hazrat Jeo and Hazrat Ji Sahib Peshawari. His mureeds were in millions and about 800 were his khalifas. Five rulers of his time were his mureeds and khalifa. There is a chapter on Hazrat Ji sahib Peshawari In Maqamat i masumi. I need the contact number of this blog author so that i can share further information with him.